Social network GeckoLife, the brainchild of co-CEOs Rajeev Gupta and Ashish Trivedi, has launched claiming to be Asia’s first social network that has been designed for both children and adults. 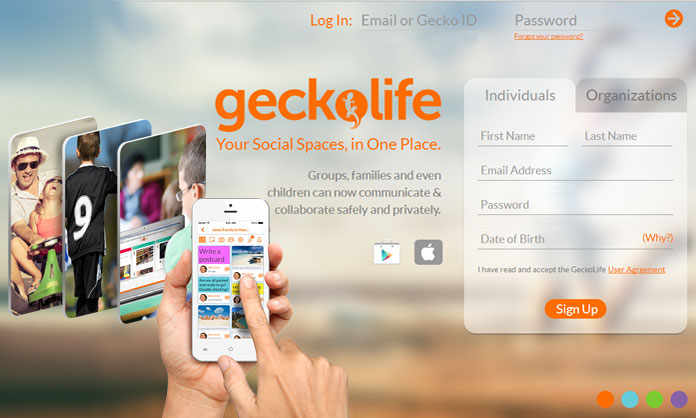 GeckoLife, which is currently free, offers parents of pre-teens an ability to oversee their connections, engagements and online content that their children have access to allowing for secure social media experience for families. GeckoLife is aiming to grow its social presence in Singapore and expand into other markets across the Asia Pacific region whilst continuing to evolve its product offering. The product received angel investor funding of more than $1 million in 2013, and welcomes conversations with interested investors and any parties keen on collaboration. The company is headquartered in Singapore with offices in Australia, India and the United States. The social network claims to have already received a strong organic pick-up of close to 5000 users. Families, groups and organisations such as United World College of Southeast Asia’s Student Technology Group, Junior Achievement Singapore and Singapore Repertory Theatre are among its membership base that spans across Asia, the Middle East, Australia and the United States. In addition, with ‘safe spaces’, GeckoLife’s interface also removes the clutter of an unfiltered news feed and allows members to tailor discussions around their topics of interests. Within these spaces, members can share conversations, images and files, with the ease of automatic archiving and the simplicity of organizing all their discussions in one common place. UFC and AirAsia will also select the first-ever UFC scholarship program recipient. ..
China is moving toward a cashless society as mobile payments become ubiquitous in cities and continue to spread to rural areas, wi.. Meanwhile it has also appointed a PR agency. .. According to Benito Mable, VP, Tokio Marine Asia, the agency demonstrated its ability to execute on strategy and delivering good r..